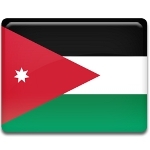 June 9 is Anniversary of the Ascension of King Abdullah II in Jordan. This is a public holiday, but the offices remain open. Abdullah II ibn al-Hussein was born on January 30, 1962 from the King Husein Talal and his second wife Princess Muna al-Hussein. King Abdullah II is married to Queen Rania of Palestinian origin. Abdullah II started schooling in Jordan and continued his education in England and the United States. He attended the Royal Military Academy Sandhurst and later was commissioned to the British Army, where served for a year as a troop commander. He studied for one year in Pembroke college, Oxford, where he completed Special Studies course in Middle Eastern Affairs. Upon returning back to his fatherland he joined the Royal Jordanian Army. Abdullah became the King of Jordan on February 7, 1999 after the death of this father King Hussein. It's interesting that the title of King was to be given to Abdullah's brother, Hassan, but King Hussein changed his mind not long before his death. An official ceremony of coronation took place on June 9, 1999.